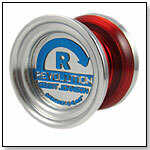 Duncan Toys has been the industry-leader in yo-yos and spin tops since 1929. With products manufactured in the USA, Duncan Toys are produced from the highest quality plastics, with precision designs and components. We import and distribute kendamas, a Japanese wooden ball-and-cup juggling and balance skill toy. Stellar Toys is manufacturer & wholesale distributor of the "Flip N Flyer".